Ross Double Cone Blenders are in stock in 5, 10 and 15 cu.ft. capacities. A full range of sizes from 1/2 to 80 cu. ft working capacity is available. Each is constructed of type 316-stainless steel and is internally polished to a 240 grit sanitary finish. The exterior is polished to an easily cleaned 150-grit finish. 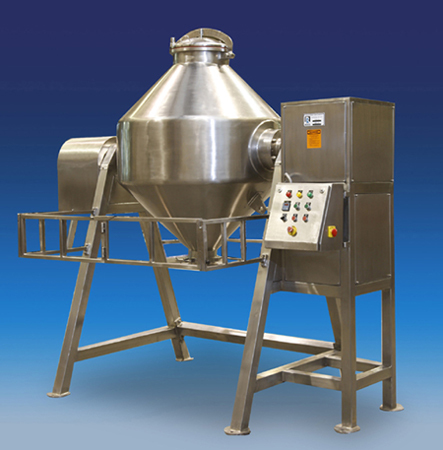 Mixing, Blending, Drying and Dispersion equipment is manufactured on five continents and is marketed worldwide. In the USA Ross operates five plants.